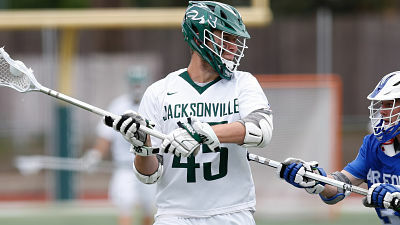 PHILADELPHIA – For the second time in Jacksonville University men’s lacrosse program history, a former Dolphin has been drafted into the National Lacrosse League as Chase McIntyre ’18 was selected by the Calgary Roughnecks in the 6th round as the 69th overall pick of the 2018 NLL Entry Draft at Xfinity Live! One of five team captains in 2018, McIntyre totaled 52 points on 40 goals and 12 assists during his career as a Dolphin. He also scored six extra-man goals, picked up 36 ground balls, and caused four turnovers. The Vancouver, British Columbia native and Hill Academy product posted 22 points as a sophomore in 2015, including the game-winner against Michigan on March 3. He joins Cameron Mann ’13 as the only other Dolphin to be drafted into the NLL. The Dolphins’ most prolific scorer, Mann was 32nd overall by the Colorado Mammoth in the 2013 Entry Draft. The Entry Draft featured the inaugural draft classes for both expansion teams – the Philadelphia Wings and the San Diego Seals – who will begin play during the 2018-19 season. For the full list of 2018 NLL Entry Draft selections, visit NLL.com. The National Lacrosse League (NLL) is North America’s premier professional indoor lacrosse league. Founded in 1986, the NLL ranks third in average attendance for pro indoor sports worldwide, behind only the NHL and NBA. 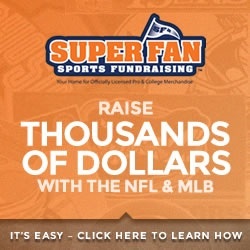 The League is comprised of 11 franchises across the United States and Canada: Buffalo Bandits, Calgary Roughnecks, Colorado Mammoth, Georgia Swarm, New England Black Wolves, Philadelphia Wings, Rochester Knighthawks, San Diego Seals, Saskatchewan Rush, Toronto Rock and Vancouver ’18. The 2017-18 NLL season, commemorating the League’s 32nd year, concluded June 9th with the Saskatchewan Rush being crowned champions. For more information, visit NLL.com and find the NLL on Facebook, Instagram and Twitter. PrevHagerty 2019 Ashley Rassel Commits to FIT!